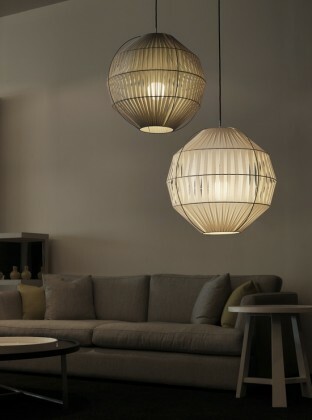 In 2013, lighting no only serves to brighten a room but to impart a certain style as well. No matter which room, each space of the home must make its own, unique statement. If you want to redecorate the dining room or home office without too much trouble just replace the lighting fixtures to make a dramatic change to the room. Here are my 7 favorite picks! These practical jars give a whole new look to the kitchen or dining room and the minimal investment is sure to elicit many compliments! To give a country cottage or old church feeling to a room, lights that look like candles are the perfect accessory. 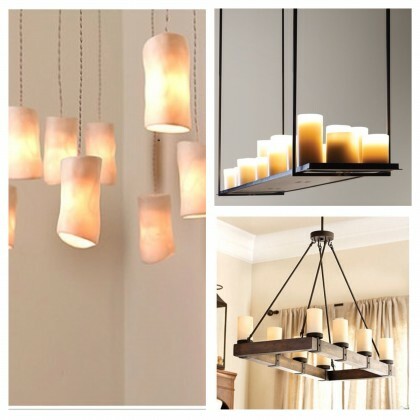 They bathe the room in a warm, comforting glow and are perfect for a craftsman style home. 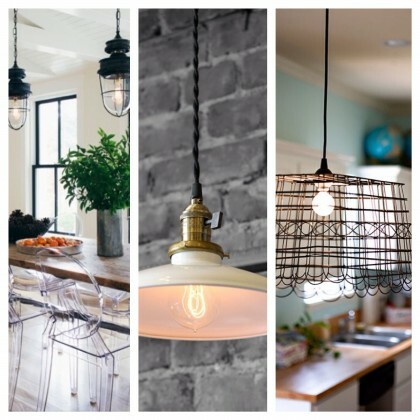 What Jenn likes best about this style of fixture is its timeless beauty that enhances almost any decor. Available in a multitude of shapes and textures, from antique metal to cast iron, in which the light bulbs are often exposed but who says that the bulb has to be white? 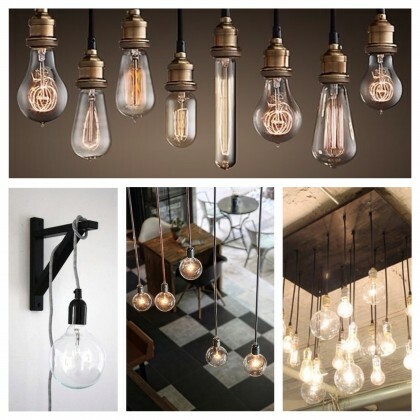 Decorative bulbs are really trendy according to Jenn, for a simple, clean look that is also quite original. 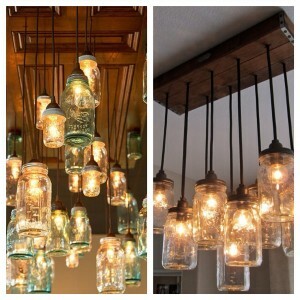 She prefers suspended lighting of this type in corners and to define areas such as a reading nook in the living room, a small office space at one end of the dining room or above night stands instead or the traditional lamps…. What’s really nice about this kind of fixture is that it melts into almost any decor for a calming effect especially when combined with a dimmer to control the intensity and permit the right kind of lighting from romantic mood lighting to a Sunday dinner with the family. 7. Lest we forget … the chandelier! 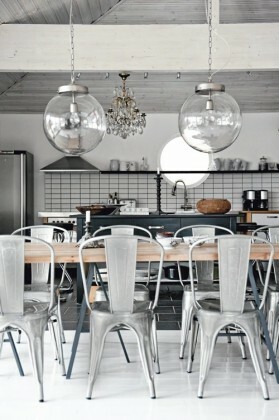 As a suspended fixture, the chandelier is irreplaceable for the sumptuous elegance that it imparts. 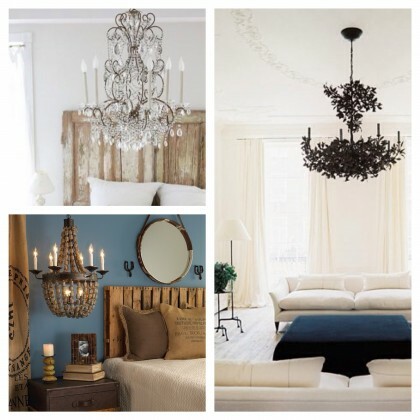 The style, color and size can be chosen to enhance the ambiance that you want to create in the room whether it is of a simple, modern or classic home there is nothing that can beat the shimmering elegance of a sparkling chandelier in a monochromatic or rustic style room…the sharp contrast is very “in” at the moment.